Two statewide education groups signed on Tuesday to support a ballot initiative to expand Medicaid coverage. The Idaho Education Association and the Idaho School Boards Association have endorsed the Medicaid measure, which will appear as Proposition Two on the Nov. 6 ballot. The groups represent two prominent education constituencies. The IEA is the state’s teachers union, while the ISBA represents trustees and charter school administrators. The ISBA’s endorsement, in particular, comes as little surprise. This summer, the ISBA’s leadership publicly sparred with the Idaho Freedom Foundation, a conservative think tank and lobbying group that has emerged as the leading opponent to Medicaid expansion. The ISBA says Medicaid expansion could shift $173.4 million off of local taxes within a decade. The Freedom Foundation, meanwhile, argues that Medicaid expansion will only intensify the battle over state dollars — potentially to the detriment of schools. The IEA and the ISBA do not always take the same side on education and public policy issues, but they do frequently work together on issues at the Statehouse. 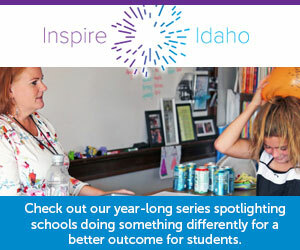 Often, the groups work side by side with a third prominent stakeholder group, the Idaho Association of School Administrators. However, the IASA appears likely to sit out the Medicaid expansion debate. The group has taken no position on the measure, and executive director Rob Winslow does not expect this to change in the final seven weeks of the campaign. The Medicaid expansion issue affects a “gap” population of more than 62,000 Idahoans — people who make too much money to qualify for Medicaid under the current law, but do not make enough money to qualify for insurance subsidies. The Legislature has debated the fate of the “gap population” for six years. In the waning days of the 2018 session, a Medicaid expansion measure died on the House floor after a dramatic debate over a procedural motion. Weeks later, Medicaid expansion supporters turned in petitions bearing more than 70,000 signatures. After reviewing the petitions, Secretary of State Lawerence Denney said the supporters had turned in 56,000 valid signatures — enough to qualify for a spot on the November ballot. Lawmakers are still trying to understand the complexities of rewriting the K-12 funding formula, House Speaker Scott Bedke said Tuesday. Meanwhile, legislative leaders are at loggerheads over Medicaid expansion — and a controversial bill that would tighten the initiative process. The Medicaid waiting game is over. What happens now? It won’t take long to see how Tuesday’s ruling, and sluggish tax collections, affect the budget-writing process.